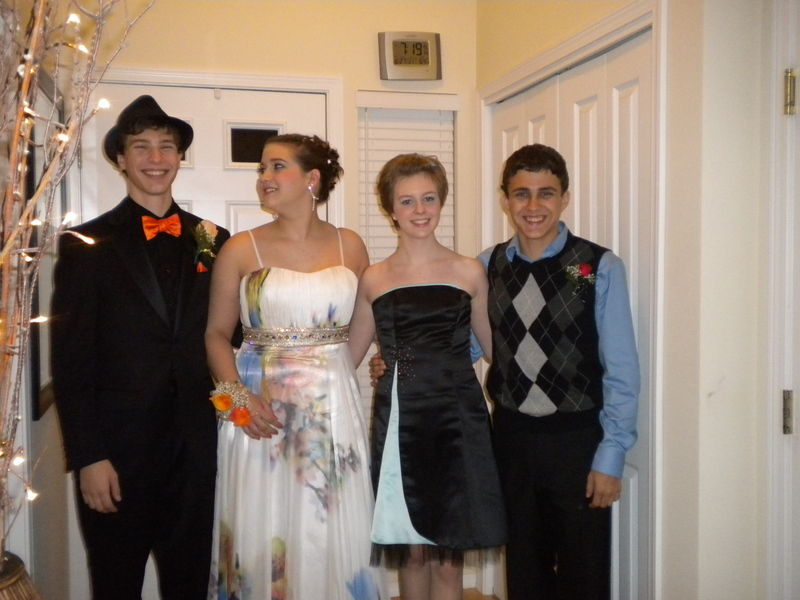 … and heading out the door for homecoming. Being home this year so I can see the action and enjoy the excitement has been wonderful. 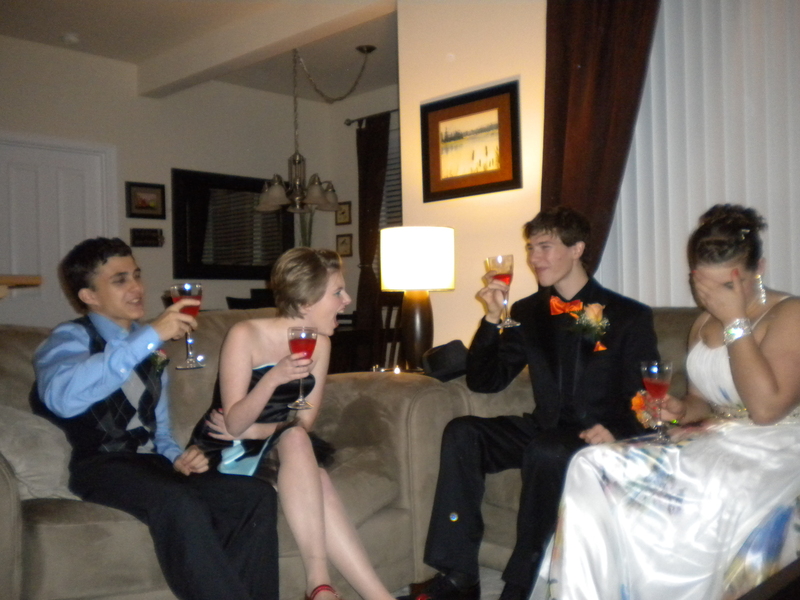 I am so proud of Grant’s deportment in social situations like this. I wrote this for the class I took called Ecology of Language and Place. It was posted on April 13, 2009. Although I would rework it some today, the essence of the piece is fairly intact. I was actually looking for something else, and discovered that the class blog was still active! Here is a link to the original, I believe you can get to other things I wrote at that time through this. I have decided to record my work this year on NaNoWriMo in a separate category on this website. You can view the entry page with a progress log under the “Literary Pursuits” category in the menu bar. Here is a link to the NaNoWriMo 2012 page. Each day’s entry will be posted linked to that page. 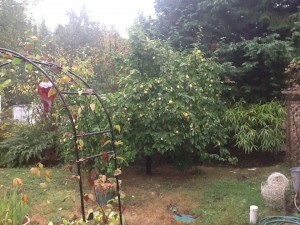 Sunday, as I was walking toward the house from the garden, I decided to take a long cut through the orchard and under the large chestnut tree. 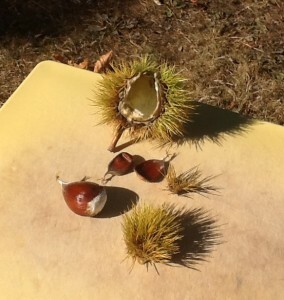 On the ground, I spied a chestnut — spiky and green, stem and dried flowers still attached. When I picked it up, thinking it would be fun to share with students, it was heavier than I expected. Inside I went, and with much finger-pricking (the spikes were starting to harden, and needle-sharp! ), and expressions of ouchiness, I managed to pry the segments of the husk apart. Two of the three nuts inside were shriveled and empty, as all of them have been since the tree went in. But the third! OH! We have our first, honest-to-goodness, real home-grown chestnut!